Is aircon servicing a must for home maintenance? This is a question that many homeowners ask when it comes to taking care of their air conditioners. 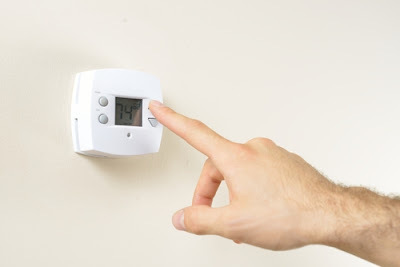 Your aircon is very essential equipment that makes living in your home comfortable. It helps in keeping your home warm when it gets hot so that you do not feel sticky. It also filters out mites, smoke particles and odors from the air that flows into your home. Due to the latest advancements in technology, manufacturers of air conditioners design aircons that in addition to having faster cooling rates save energy by up to 60 percent. Modern air conditioners also have anti-dust filters, features for adjusting temperature automatically and built-in stabilizers. These features make it possible for homeowners and their families to sleep comfortably in their homes. However, your air conditioner requires regular servicing just like other equipment in your home. In fact, servicing your aircon should be part of your regular home maintenance process. Your family needs to breathe in healthy and clean air all the time. Ensuring that the air that enters your home is clean will keep your family healthy. Most homeowners prefer switching on their aircons at night to ensure that their families sleep comfortably at night. Ensuring that your air conditioner is properly serviced enables it to keep fresh, quality air circulating in your home throughout the night. When your aircon is properly serviced, it filters bacteria and germs that might be present in the outdoor air. This reduces the number of trips that your family may have to make to a doctor. This saves you time and money while enhancing the happiness of your family. Energy efficiency is a vital aspect of modern home appliances. With larger units like air conditioners, it is beneficial and sensible to ensure that they are energy efficient. Servicing your aircon as part of home maintenance is important because it helps in enhancing its efficiency. When your air conditioner is serviced properly, it works the way it should. This helps in saving utility bills because the aircon will not require extra energy to function the way it should. An aircon that is not serviced during regular home maintenance ends up being filled up with fungus and dirt. These hinder it from functioning properly because they cause other problems with water leakage being the most popular problem. Water leakage can necessitate extra work for the aircon. Proper servicing corrects such problems while enhancing proper functioning of the aircon. Failing to service your air conditioner is a serious mistake because it eventually leads to a major breakdown of the unit. This means that you end up wasting a lot of money and time in repairing or replacing the damaged aircon. You can avoid this by ensuring that your air conditioner is checked or serviced during regular home maintenance by experienced technicians. Just like other important appliances in your home, maintaining your aircon will make it last longer and serve you better. Therefore, make aircon serving a must during home maintenance to extend its lifespan. Your air conditioner manufacturer might have set servicing the aircon as a requirement for the warranty to remain valid. As such, you should know this requirement and follow it because you never know when you will need to use the warranty. You will have peace of mind when you service your aircon during regular home maintenance because you will always know that you just need turn your aircon on and it functions properly. When your air conditioner is serviced properly, you are assured that nothing will go wrong at any point. The unit will always perform efficiently and keep your home environment comfortable to live in. Chemical servicing for an aircon is very important because it clears out the deep-seated grime and dirt. This cleaning ensures that your aircon is clean and hygienic. Your aircon ensures that healthy, fresh air is always circulating in your home. Air filters of the aircon play a vital role of eliminating contaminants from the air that enters your home. During servicing, air filters are tested to determine whether they are functioning properly. They are tested to determine whether they have leaks. If refrigerant leaks from your aircon, it is likely to be harmful to the health of your family. As such, you should have your aircon serviced during regular home maintenance to prevent this from happening and to ensure that your family breathes the cleanest air possible. Nothing can be as worse as having inconsistent air flow in your home from the air conditioning unit. If your aircon is not serviced during regular home maintenance, it will cause varying air flows and changing temperatures in your home. However, servicing your air conditioner on regular basis will keep the unit functioning properly. This is because during the servicing process, fans are usually maintained to ensure consistent and regular airflow. Singapore is mostly humid though there are times when heat becomes unbearable. As such, homes must have properly functioning aircons especially when it becomes too hot. 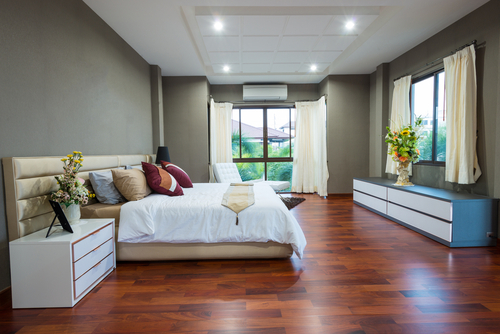 Although many homeowners in Singapore enjoy the cooling effect of air conditioners, they neglect the idea of servicing this important unit during regular home maintenance. 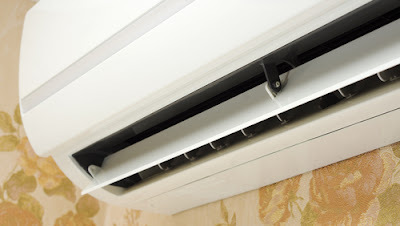 This leads to inconveniences and problems that are associated with a poorly maintained air conditioner. Servicing your aircon during regular home maintenance enables it to perform optimally especially when your home needs it most. It also enhances the lifespan of the unit while preventing costly repair, maintenance and energy bills. Still asking, is aircon servicing a must for home maintenance? If yes, consider the above reasons and make servicing your aircon part of your regular home maintenance process.